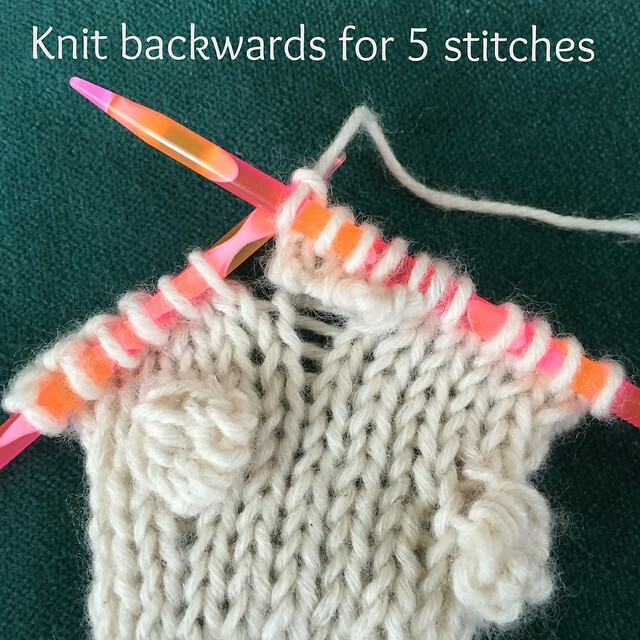 A few weeks ago I posted a "knitting backwards" tutorial. 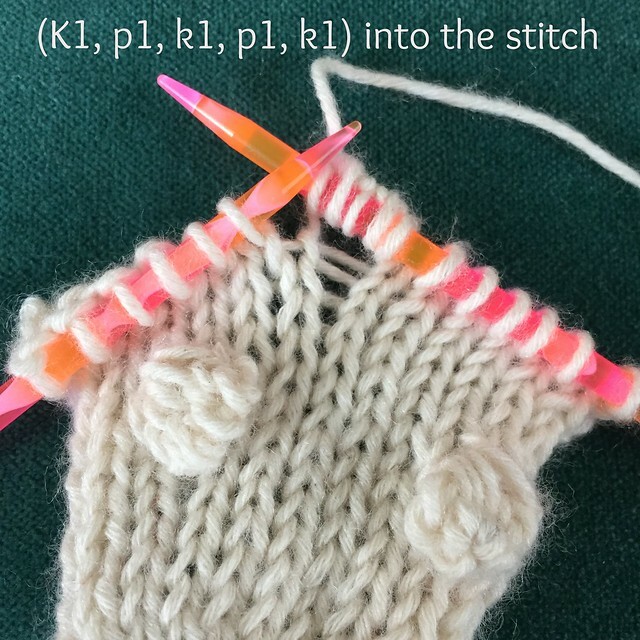 In it, I outlined the steps for knitting 'backwards', or in other words, purling with the right side facing you, so that you do not need to turn the work. 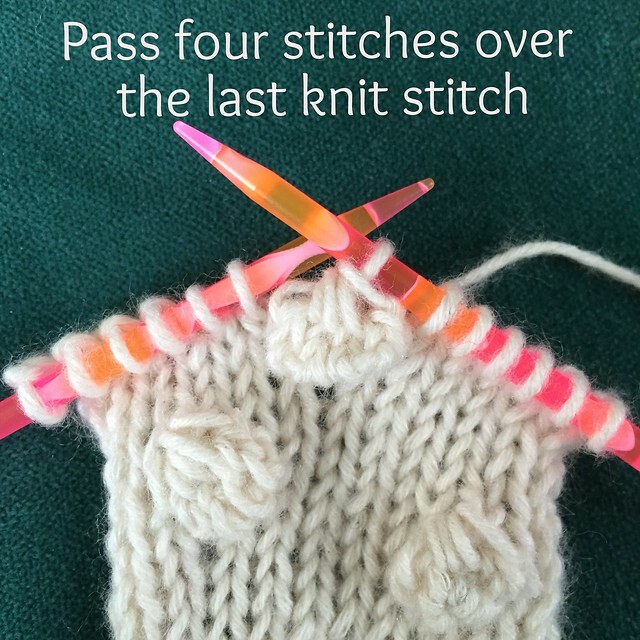 This is a technique that my left-handed mother uses all the time - she knits back and forth like a knitting machine - but I only taught myself to do when I was working on 'Miss Winkle' - a pattern which required frequent turns after only a few stitches. 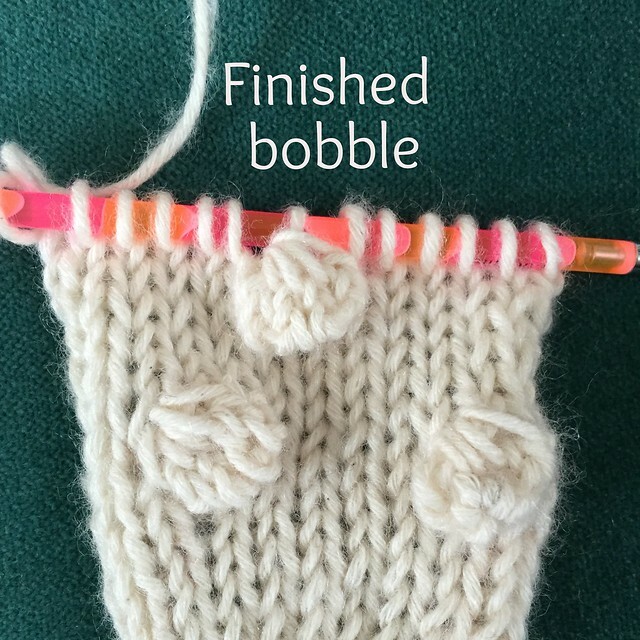 Since then, I have found myself using it for various different projects and thought that I'd share some of the practical applications with you, starting today with bobbles. 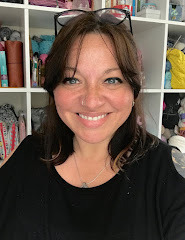 I've recently finished a project with lots of bobbles, and I can tell you that this made a massive difference to the overall speed with which I could knit them. It also saved the various colours I was using from getting tangled up with frequent turns. 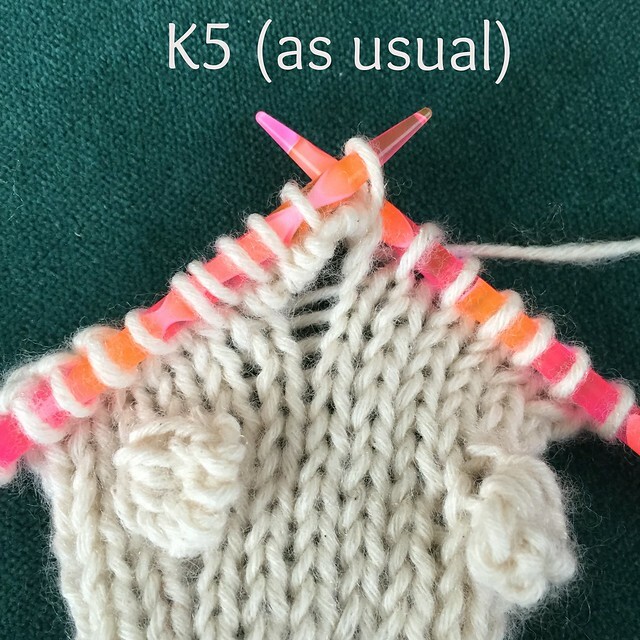 I have a few other 'backwards knitting' tutes to share, but I'd love to know what else you use this technique for. Oh and if you're fancying those gorgeous knitting needles, they are part of a KnitPro Marblz Interchangeable Needle (Limited Edition) set which I'm going to be telling you about and giving away before Christmas, so stay tuned! I've just finished a sample for my next design which has (shhhh!) *bobbles* on it ... 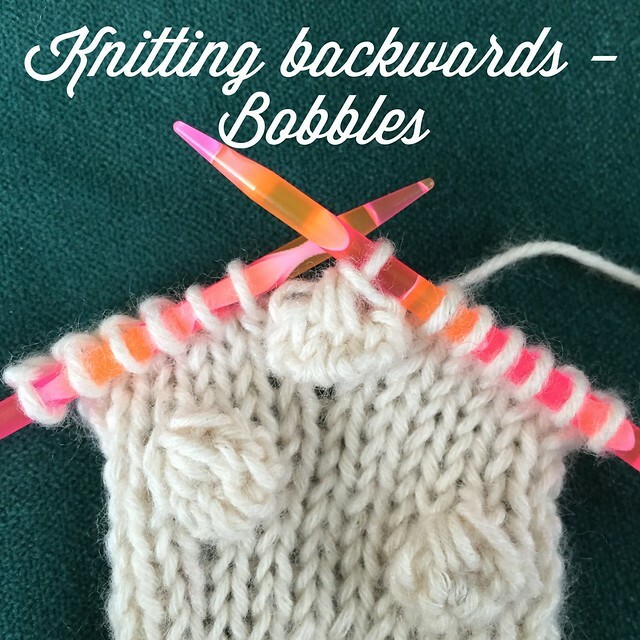 I did think about learning to knit backwards but the whole thing made my head spin! 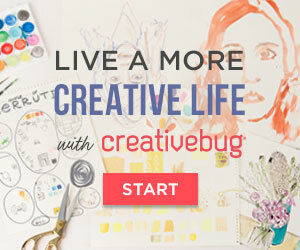 I probably should learn though - it does sound like a fab time saver.